A few days ago news about a Chinese company that plans to launch a Windows 10 for Phones device made headlines. An unnamed Elephone smartphone has been showcased at a trade fair in Hong Kong and the Chinese company confirmed it will be capable of dual-booting Android and Windows. Although some of the phone's specs were listed by Elephones and some of the pictures showing the smartphone were also displayed at the trade fair, the actual phone or a prototype wasn't showcased. 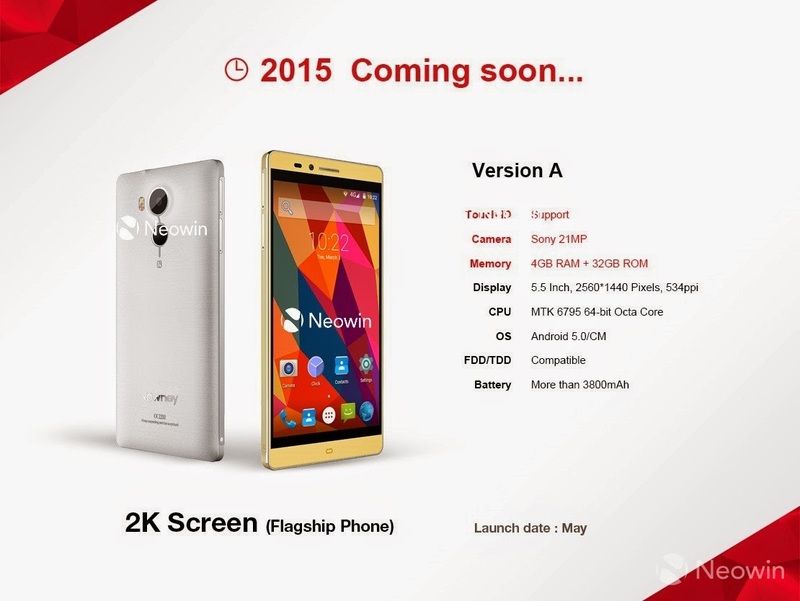 Today, the folks over at Neowin received new information regarding the upcoming Elephone smartphone. Some of the phone's features and its release date have been confirmed. More pictures have been published as well, so let's see what's coming for both Android and Windows Phone fans. From what we can tell, Elephone's new smartphone is aimed at both Android and Windows Phone users, so those who would want to switch to Microsoft's OS but don't really want to give up Android's advantages will want to choose this particular device. 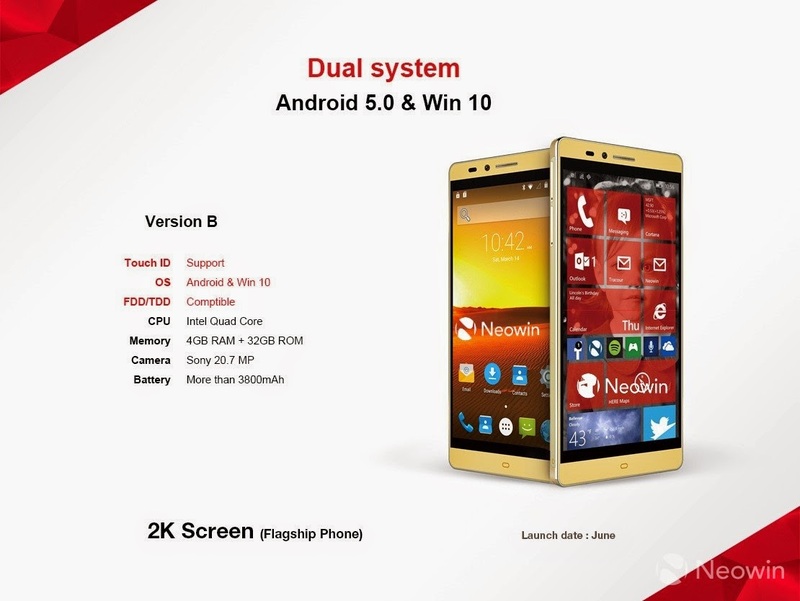 Elephone's smatphone will ship with both Android 5.0 Lollipop and Windows 10 for Phones operating systems, and will be capable of dual-boot. We already know the handset packs 4GB of RAM and a powerful quad-core processor provided by Intel. Elephone's high-end device will also boast an impressive 20.7-megapixel Sony camera on the back, as well as 32GB of storage inside. The phone will be powered by a more than 3,800 mAh battery and will sport a 5.5-inch capacitive touchscreen display that supports 2560 x 1440 pixels resolution. According to Elephone, its dual-boot flagship smartphone will be launched sometime in late June. The other version of its flagship handset that will only run Android OS will ship beginning in May. Obviously, the smartphone will only be available for purchase in China, at least at the beginning. So there you have it folks, a Windows 10 smartphone may be launched as early as June.